What steps are involved in planting a church? Why is there a need to plant a church in the first place? 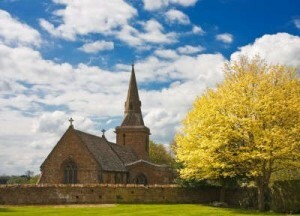 What exactly is involved in planting a church? Bask this idea in prayer. Why do you want to plant a church? What is the reason for it? Are churches in your area not preaching the gospel of Jesus Christ and teaching right out of the Bible and not elevating the holiness and glory of God? One man that I heard Bible teacher, pastor, and author Chip Ingram speak about planted 386 churches in one year! And he still managed to pray at least 5 hours a day. What is incredible is not how one man can spend 5 hours a day in prayer and still be able to plant almost 400 churches in one year, but that he did spend this much time in prayer that he was able to plant that many churches. The point is that the reason that he was so successful was that he spent so much time in prayer. Prayer is essential to anything and the purpose must always be to glorify Christ. There should be no other reason to plant a church than to bring glory top Jesus Christ and that there are no biblically-centered churches in that area. According to the Barna Study (in 2011), almost 4,000 churches close their doors each year. This means 2,765,000 people have no place to worship. From 2005 to 2011, church attendance has dropped nearly 50%! So the reasons to plant churches are plenty. One evangelist told me once that churches are like people…they have life cycles. They are born, they live, and they die. This is completely natural. The demographics change, the population shifts, and sometimes churches begin to teach watered-down theology and grow seeker sensitive. Pastor, Bible teacher, and author James McDonald once said that when you put Christ at the center of your worship services and uphold the inerrancy of the Word of God, the Bible, “you’ll need to order more chairs.” When these essential elements are missing, then the church is naturally going to die because when God has left the church, it’s time for the people to leave too. Prayer is the number one thing, the first thing, the ongoing thing, and the last thing that needs to occur. Unless you are a prayer warrior, you will never likely be able to plant a church with any type of success. God must be involved in this process. Psalm 127:1 says, “Unless the Lord builds the house, the builders labor in vain.” Jesus said that “I will build my church, and the gates of hell will not prevail against it” (Matt 16:18). You are going to face the Enemy in the church planting process but remember it is the Lord Who builds and when He is involved in the building of a church, nothing can stop it. Anytime you decide to plant a God-centered, God-elevating church that is evangelistic, you will get spiritual attacks. Understanding that will enable you to confront the enemy because you are encroaching upon his territory and he most certainly does not like it. You are going to face the Enemy in the church planting process but remember it is the Lord Who builds and when He is involved in the building of a church, nothing can stop it. Do your homework. Talk to neighbors, talk to local citizens, talk to the chamber of commerce, talk to anyone and everyone and ask if they have a church home. If not, ask them why? What is the reason that they don’t attend a church? Sadly, 86% of people that don’t attend church have never been asked! What you find is that many people who do not attend church have had bad experiences with a church or they are dissatisfied with organized religion. A church often times starts as a house-church. Some of the largest churches today started in someone’s basement or living room. Eventually it outgrew the premises and had to find a larger facility. Of course, that is a good problem to have. This is not to say that you want to plant a seeker-sensitive church but that you want to know what the feel of the community is that you are planting the church in. The more you know about the people, the more you will see the need to plant a church there…or see the need to move onto a different area. When you plant young, tender transplants in a garden, you need fertile ground, you need ground that is softened up or tilled, you need fertilizer, and lots of water. This means that you will need ongoing support. You’ll need to network with other pastors and leaders in this area. You will also need to look at financial support. The average church plant needs from $2,000 to $250,000 dollars. That sounds like an impossible thing to do but God is always doing impossible things through improbable people to glorify His name. God owns everything and so if it is His will to plant a church there, the gates of hell is not going to stop it. What is your vision for this church? You must have a purpose, a mission statement, a goal-oriented focus for this church. Our church has a mission statement to the effect that we want members to grow in holiness, to be growing in ongoing sanctification, to be about rescuing the perishing, to seek to know God more like His holiness and to be more holy like He is, to be guided by the Holy Spirit, and to love one another as Christ loves the church. When I became pastor at the church that I am at now, the old mission statement was so vague and undefined that it really had no purpose or goal so I went about to revise it. A vision or mission statement is vital to keep a focus on what is important to God and what is important to God is to seek His holiness and to grow in holiness and become more like Christ, and also to glorify Jesus Christ above all things. God has said, “I am the LORD; that is my name! I will not give my glory to another or my praise to idols” (Isaiah 42:8). If we ever take credit for what God is doing, if we ever rob glory from Him, or boast in what we are doing, God is going to quickly depart from that church. The church’s mission statement or their vision must necessarily seek to glorify God and to elevate His Word as the final authority in all things…He is Truth. There is no other like our God. Networking is essential. Talk to local pastors and leaders. You will need the full support of your own church. Not just for prayer warriors, although you can not possibly succeed without prayer, but you will need staff and church members with financial backing. Even if it is only a small staff and amount of money, you can not do this alone. The example of the one man who planted 386 churches in one year had the full support of his church staff, prayer warriors in his home church, and the financial means to travel with all the expenses covered. There are so many amazing websites that have different ways you can reach the un-reached in areas that some are fearful of going into. One church that is doing just this is in Pueblo, Colorado called Victory Life Ministry in Pueblo, Colorado and now has a “baby church” in Colorado Springs. Pastor, Darin Carroll planted a church where some might think that angels fear to tread, but this man’s faith and trust in the Lord is unshakable. He seeks those who most people would avoid; former and present gang members, drug dealers, prisoners, alcoholics, and homeless. The list is endless. Pastor Darin found an old orphanage and made it into a church and its an excellent facility. I had the privilege of visiting there once and speaking at this church and I discovered that he just did what needed to do done because he took the initiative and he had faith in God. We could add part of Step Six is to have a strong faith and trust in the Lord as Pastor Darin Carroll did and still does. Actually this article is called “How to Plant a Church: 6 Helpful Steps” but I wanted to leave room for your suggestion. Years ago I planted a church by finding an old, abandoned church that needed cleaning out. This church was in a small valley out in the country, just east of Arkansas City, Kansas. I even climbed up into the church steeple to clean out about 20 years worth of bird droppings, but guess what…the church bell still worked! I had a small staff : two teachers and a nursery worker. The only thing that we lacked was a pastor and so at our first service, one of our Sunday school teachers went up and looked at me! Uh oh. You can be as creative as we were or you can seek expert advice, much of which is free on the Internet. In this farming community where we planted a church, we already had a facility and the guy who owned it let us have it to use for free! Then we went from farmhouse to farmhouse and spoke with the local residents to see if they desired to be part of a new church. We even wanted them to be in on deciding the name for it. This gave them ownership of the church. We said straight up that this church was going to be a Christ-centered, Bible-believing church and most had no problem with that. We were upfront about this and completely honest with them about the fact that we didn’t even have hymnals and likely the first worship music was going to be from me on my old guitar…and I only knew about 7 songs and mostly in the keys of C, G, F and A! They didn’t seem to care. I moved but that church is still there today. So what do you think? What ideas can you contribute to planting a church that I have overlooked? What can you contribute to this article? No one dare do this alone. The Bible is clear that “in the multitude of counselors there is safety” (Prov 11:14). I welcome your ideas or ways to improve on what I have said here. I could never try to plant a church alone. It takes prayer, God, and fellow believers. And the passionate desire to glorify God and elevate the Word of God, the Bible. Looking for more about church? What Does The Bible Say About Church Attendance or Membership? I would to have your permission to repost this material on my web site. I minister to all shutins. I also have a web site called ” http://www.carrolltonbiblefellowship.com “. Thank you, Rev. William Wagoner. Hello Rev. Wagoner. I am honored that you consider it good enough to repost. I love you saying that you also minister to shutins. I have set up a Bible study at the local nursing home as part of our Outreach for those in the nursing home who can’t go to church, I bring it to them and share the gospel with the residents, with the staff & the residents visiting family members. I would say you could repost the intro at the top of this article and then put a link to this article and that would be fine. Each of these articles are original and are not actually not my property to say you can repost it all…so my recommendation is to repost the intro of this article at the very top and then put the link to this article. Also, we have a link at the bottom of the comment section on how to start a nursing home ministry since you already do a ministry for shutins. God bless you sir for your labor of love. Hello Jack I have a question. I’d don’t understand what Deu 25: 11-12 means in the Bible. Could you explain what it means. Sam, I just don’t know exactly. I do know that this is part of the old Mosaic Law and is not applicable today but there must have been some reasonable explanation. Perhaps the fact that this is part of the reproductive area or that private areas were not to be touched by someone outside of the family, or what. There is much in the Old Testament Mosaic Laws that I am not familiar with, but neither am I familiar with exactly how electricity works but it serves a purpose and must have served some purpose then, or else God would not have established such a law. Pastor, Can you recommend articles to read regarding what we as parishioners can do to increase church membership and keep our church from disappearing? Thanks a great idea Mrs. Schirra. I will work on that. For now, let me say that if you read Matt 24:34-40, 28:18-20 and James 1:27, you can see what our church does; is involved in a prison ministry, visiting the sick, providing church services to a local nursing home, and Jesus said this is doing it unto Him (Matt 25:40), and that’s what we do. You should also have some outreach for the community since, as I heard, “A church that doesn’t evangelize will fossilize” if that makes sense.